The Siege of Fort Stanwix (also known at the time as Fort Schuyler) began on August 2, 1777, and ended August 22. Fort Stanwix, in the Mohawk River Valley, was then the primary defense point for the Continental Army against British and Indian forces aligned against them in the American Revolutionary War. 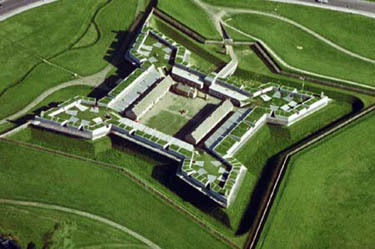 The fort was occupied by militia companies from New York under the command of Colonel Peter Gansevoort. The besieging force was composed of British regulars, American Loyalists, Hessian soldiers from Hesse-Hanau, and Indians, under the command of British Colonel Barry St. Leger and the Iroquois leader, Joseph Brant. St. Leger's expedition was a diversion in support of General John Burgoyne's campaign to gain control of the Hudson River Valley. Meanwhile, St. Leger — half of his force Native Americans led by Sayenqueraghta — had laid siege to Fort Stanwix. American militiamen and their Native American allies marched to relieve the siege but were ambushed and scattered at the Battle of Oriskany. 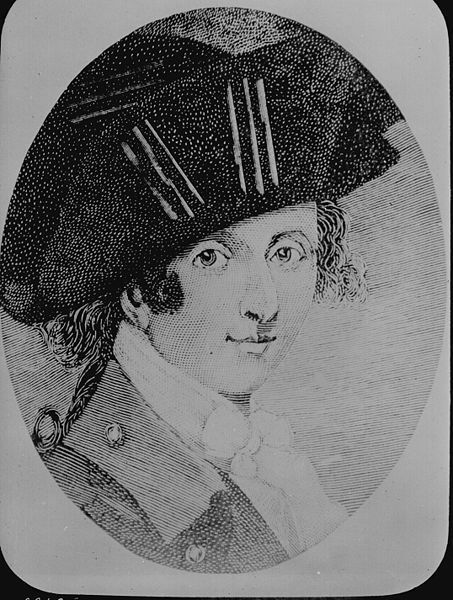 When a second relief expedition approached, this time led by Benedict Arnold, St. Leger's Indian support abandoned him, forcing him to break off the siege and return to Quebec.